SAN FRANCISCO --Microsoft wants people to have more intelligent conversations with their computers. The giant software company is promoting new tools for software developers to build intelligent "bots," or commercial programs that will work with Cortana, Microsoft's voice-activated digital assistant, to perform tasks like booking a hotel room, ordering a meal or arranging a delivery. Microsoft's efforts echo those of competitors like Amazon, with its Alexa digital assistant, and Facebook's Mark Zuckerberg, who said he wants to build his own "Jarvis," the artificial intelligence that aids Tony Stark in "Iron Man." "We're really excited about the new opportunities and new frontiers," Microsoft CEO Satya Nadella said at the company's Build 2016 Developer Conference in San Francisco Wednesday. "We want all developers to infuse intelligence into their applications." This is part of a larger Microsoft push to get its bots deeply embedded in users' lives, even if they don't personally use Microsoft products. For instance, Microsoft wants to make Cortana work on competitors' devices. For instance, a Google Android-powered smartphone could use Cortana to add to a user's calendar appointments or check incoming emails, CNET reports. But while many developers are excited about the promise of artificial intelligence systems, not all Microsoft experiments in the AI field have been successful. In an embarrassing misstep last week, the company had to shut down "Tay," an experimental AI messaging bot, after it some Twitter users taught it to make offensive statements and the bot started spewing lewd and racist tweets. Nadella said the episode showed the importance of designing technology to be "inclusive and respectful," and said Microsoft needs to build software that "gets the best of humanity, not the worst." Going forward, he sees Microsoft joining companies like IBM with its Watson cognitive computing system in spearheading the push for artificial intelligence. 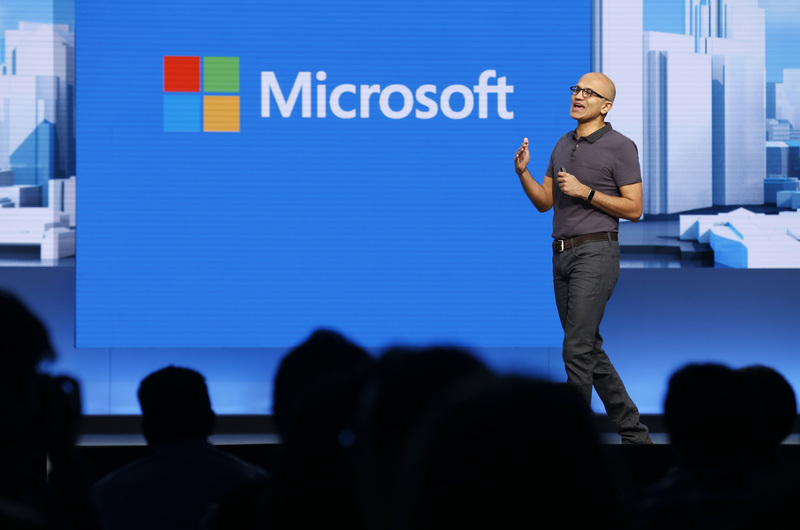 "That's how we're going to make progress," Nadella said. At the Build conference, the company's annual gathering for software developers, Microsoft also announced some updates to its flagship Windows 10 software, which will include new capabilities for Cortana. CNET reports the "Windows 10 Anniversary Update" is due out this summer.